Did you know that the human body is mostly water roughly 12 gallons? That’s approximately 50 to 75% of the body’s weight. According to the American Diabetic Association’s Complete Food and Nutrition Guide, the average adult loses about 10 cups of water daily. That volume needs to be replenished by drinking 8 to 10 glasses of water each day. Water is essential for general health and survival. No one needs a study to accept that conclusion. But what does demand closer scrutiny is the effect that water has on performance, as some theorize that minor dehydration is a natural part of exertion. You’ve romped outdoors with the kids all day, and your water bottle ran dry long ago. Suddenly you feel dizzy and lightheaded, and your mouth tastes like cotton. You’re dehydrated — meaning you haven’t taken in enough fluids to replace those you’ve been sweating out. 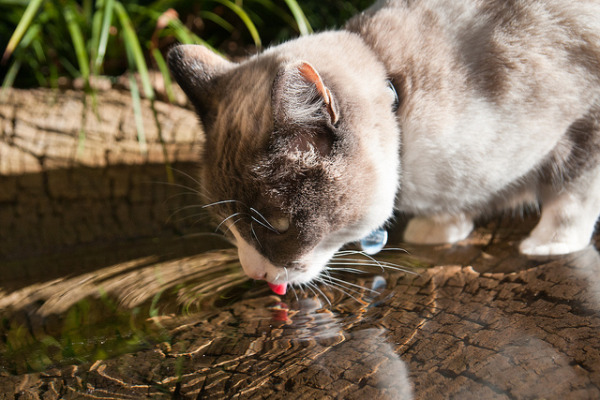 People can get dehydrated any time of year, but it’s much more common in the summer months, when they are active outdoors in the warm sun. Heatstroke is the most severe form of dehydration. That’s when your internal temperature rises to dangerously high levels. Your skin gets hot, but you stop sweating. Someone with heatstroke may pass out, have hallucinations, or suffer seizures. One dilemma with dehydration, particularly in the summer, is separating dehydration from heat stress. Athletes and general population exercisers have been implored to consume copious amounts of water, lest they reach a dehydrated state. However, it is also possible that heat causes the brain to enter somewhat of a “safe mode” to prevent overheating and this may be mistakenly attributed to a loss of water. People with diabetes can face further challenges in maintaining an adequate level of hydration in hot weather, since diabetes can lead to an increase in the body’s excretion of urine when blood glucose levels are elevated. Prevention of dehydration is essential for everyone during the hot summer months, especially when spending time outdoors. Staying well-hydrated can help prevent fluctuations in blood glucose levels as well as heat-related complications such as heat exhaustion or heat stroke. Drinking plenty of water may be all that is needed to offset the mild dehydration that occurs when you’re outside in the summer heat. Keeping track of how much water and water-based beverages you consume: count any frozen juice bars or icy treats. Fruit juices may be diluted with water for the calorie conscious. One of the first signs of dehydration is dry mouth. Carry a bottle of water around with you to take a sip whenever needed. Caffeine acts as a diuretic; so caffeinated beverages can cause fluid loss. Watch your urine: It should be almost clear and without smell. If it is changing then you are dehydrating. Sports drinks can be a good source of electrolytes, such as sodium, potassium, chloride, bicarbonate, which help keep the body electrically balanced. Stop if you get the dizzies. Feeling lightheaded during a workout is a sign of dehydration and a signal to tone it down a notch, feeling dizzy is an indicator that it’s time to hydrate. Avoid alcohol the day before or the day of a long exercise bout, and avoid exercising with a hangover. Staying off of direct sun could also help to avoid heat stroke and sunburn. It might be important for some to be in large shopping mall areas where conditioning is available and access to water is easy. Children and adults who are severely dehydrated should be treated urgently. At Express Urgent Care Clinics, we provide treatment for dehydration cases. Where patients can receive salts and fluids through a vein (intravenously) rather than by mouth. Intravenous hydration provides the body with water and essential nutrients much more quickly than oral solutions do — something that’s essential in life-threatening situations. Walk-in today to our clinics, we are open 7 days a week. Water is our most important nutrient. This entry was posted in Healthy Tips and tagged Dehydration, Diabetes, Summer, Water on June 6, 2014 by Dhalia Nayeef. Oh my goodness what a great article. Thank you!